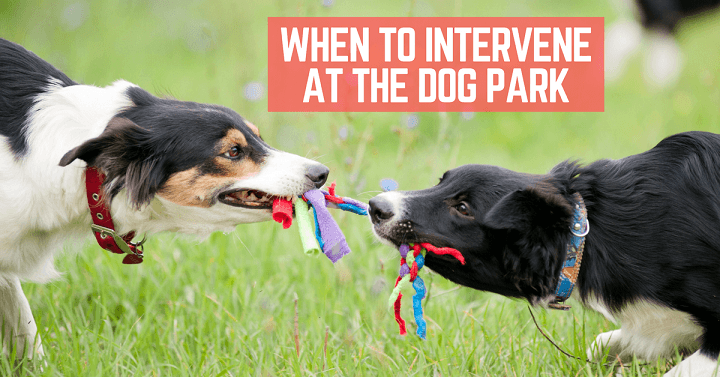 Dog parks can be stages for good and bad scenes. Baxter and I recently had an experience that could have been bad, but ended up being good. 1. Let dogs be dogs. 2. 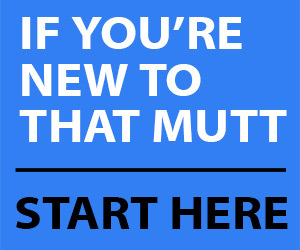 Know your dog and step in when needed. When Baxter and I arrived at the park, two puppies were there playing and wrestling. A new dog was huge excitement for two already excited puppies. They bounced around Baxter, mouthing at his face and jumping on him. Bax tolerated them for a time and then tried to move on. The puppies weren’t having it. They had a new toy. Eventually, Mr. B lost patience. There was a lip curl, a growl, then a snarl. No one freaked out. Not the dogs, not the puppies’ owners, not me. The puppies’ owners knew their puppies were being obnoxious. They knew their puppies needed to be corrected, and dogs can teach that lesson to each other better than humans. Let dogs be dogs. However, one of the puppies just did not get the message. He kept hassling Baxter, and Baxter was getting more and more annoyed. I believe that my job is to always put my dog first and help him if he’s in an uncomfortable situation. We had let dogs be dogs, but now it was time for the humans to interrupt. I put B up on a picnic table and blocked the puppy from climbing up after him. 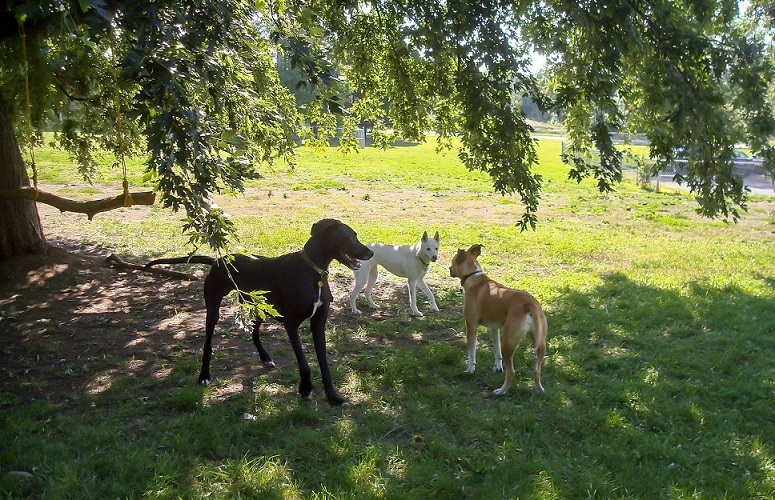 The owners distracted their puppies and moved to another area of the park. Bax and I headed in the opposite direction. Our two groups were each able to make our circuits of the park and keep out of each other’s way. Eventually we did meet up again, and the puppies’ exuberance and Baxter’s patience were still at opposite ends of the spectrum. The one puppy did do a submissive down—for about a second. But I could see Baxter’s patience was at an end. We left the park—Baxter’s joy at leaving was obvious—and went for a walk along a local creek instead. We even met two other dogs that were a bit more reasonable energy, so Bax got some socializing, which he loves and is why we go to the dog park. Even though we ended up leaving the park, the incident was a good experience because all of the owners had the same perspective on the situation. Instead of yelling at me and accusing Baxter of attacking the puppies, the owners saw what he was doing and why. When the dogs didn’t work things out themselves, we each stepped in and removed our dogs from the situation. To me, that is how educated responsible dog owners should act. 1. Let dogs be dogs. In my experience in most situations dogs can sort things out between themselves. A snarl is not the same as an attack. 2. Be real about your dog’s attitude. Are you the owner of an exuberant puppy? Not all dogs (or people) will be enthused about being jumped and chewed. If, like me, you have an older dog who prefers a quiet walk to an energetic game of tag, don’t force your dog to do something he’s not interested in. 3. Be prepared to step in. The first step is to let dogs be dogs. But if they can’t work it out, it’s up to me to do what’s best for my dog. If the puppies’ owners hadn’t taken their dogs away from Baxter, I could have politely suggested that we each go in opposite directions to give the dogs a break from each other. 4. Remove your dog from the situation if necessary. Sometimes the best thing to do is walk away. As much as Baxter loves to socialize, the dog park was just not the place to be on that particular day. Do the rest of you have any examples of when you’ve “let dogs be dogs” or when you’ve chosen to step in? Julia Thomson is a regular writer for That Mutt. Visit her blog Home on 129 Acres. Related post: Should kids be allowed in dog parks? My responses have run the gamut from “let the dogs handle it” up to having to use the pepper spray I carry at all times. Usually my dog is confident and happy-go-lucky. She’s gentle with kids, puppies, and old/injured/toy dogs. She’s also appropriately assertive and will move away, or air snap, or give a vocal warning if she’s done. She is also unfazed if another dog has to correct her and will do the equivalent of a shrug and trot off. If this is going on, I let the dogs work it out. She’s a good, solid dog park dog, and so are the vast majority of dogs we meet. Given that she’s so generally unflappable, I tend to step in when I hear a yelp or see visible signs she is distressed. Just yesterday, I body blocked a small dog and boomed, “GET!” because it was relentlessly harassing my dog to the point that she cried out, and its owner wasn’t on hand. I will also step in if my big, enthusiastic dog is making the other owner nervous (or worse, if she makes the other dog nervous and the owners seem to not notice or care). Her rock solid drop dead command is “leave it,” which is quite handy for those times. Thankfully it only got really bad one time, and I had to make a quick decision to get my dog out of there before she chose to defend herself against the smaller dog attacking her. The other owner had zero control and was standing there doing nothing. She was enraged at how I broke up the situation, but my dog was successfully extricated and the small dog was otherwise unharmed, so I call that a net win relative to what could have happened when a small dog attacks a large one. Your response–and your dog’s–is exactly what I appreciate when I’m out with Baxter. You know and trust your dog and you give other dogs the benefit of the doubt. You pay attention and step in when needed. It sounds like you handled those two difficult situations in the right way for your dog. (P.S. I love the “shrug” and move on response to a correction. It’s such a great example of how dogs usually don’t take offense). I always worry most about other owners. I want them to feel comfortable. A playful, vocal GSD doesn’t always inspire confidence! Sometimes we leave an area because another owner is too polite to say anything but I can tell they’re really uneasy. As rowdy as Remy is, he doesn’t bother other dogs at the dog park. I’ve noticed other dogs will sometimes actually be too rough for his liking and he responds by running away and when they chase him, he nips/snaps. I know now to recognize when he’s feeling overwhelmed and we move away together. I’ve also had him hop up on a bench by me. I’m lucky the other owners have always been on the same page and they try to keep their dogs away. Ace is generally pretty good at handling all sorts but in his old age I know some pups might be too much for him. They seem to realize he’s old, though, and unlikely to play. He basically ignores puppy energy, sniffs the grass, pretends to be interested in something else, etc. It’s kind of funny how they figure it out. Most dogs I see won’t do more than maybe a cursory sniff if the other dog is old or is giving off a “leave me alone” vibe. Our Beau is two years old and is from a shelter. He is part cocker and king spaniel. He loves people but seems unsure with other dogs. Recently our daughter brought her part pit bull sweetest dog to visit. He was wonderful. Beau, not so much. He is quick to bark and growl. When they played, he could easily go over the line. In pet daycare, he is great. How do we socialize him in our home with pets? Just brainstorming here … I would suggest slower intros. 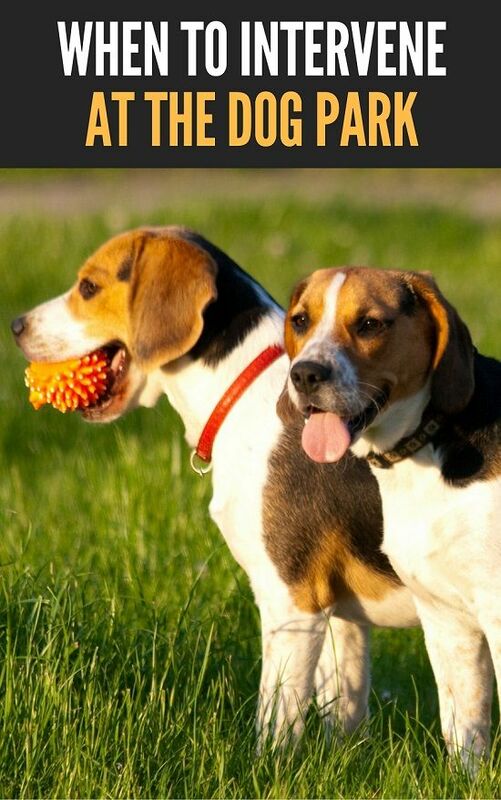 Walk them together in neutral territory for as long as you can before the other dog comes in the house. Like 45 to 60 minutes. Then just have them on leashes in the house (with someone supervising each) vs. playing. I think people expect dogs to play well together too quickly. Maybe let them play for 5 or 10 minutes after the 2nd or 3rd visit if all seems to be going well but end the play before things get too wild/rough. Also, some dogs are just very vocal when they play and it’s not necessarily anything bad (just annoying). Is that the case with Beau or is he showing actual aggression? It could also be that Beau simply doesn’t want to play with your daughter’s dog, and that has to be OK too. My dog Ace won’t play with my dog Remy, for example. We’ve had similar experiences with Bax and other dogs indoors. We had friends in for dinner and invited them to bring their dog. (And then they returned the favour). In both instances, whether at our house or theirs, Bax got a little growly with the other dog. They were fine to be in the same room and never got to a fight, but Bax seemed to feel crowded or territorial sometimes. I think a slow intro outdoors is definitely the way to go and then supervision. Maybe this is a tangent or separate post, but what do y’all think of young puppies at the dog park? Should they be there? I regularly see 6-month old puppies at the dog parks I use, which to me is no big deal, but every now and then I see a 2-4 month old. This always freaks me out a little bit because of the risk of communicable disease (particularly parvo), but I guess that’s the right of the owner to assume that risk. What always worries me is how the other dogs will respond to a young, vulnerable puppy. We ran into a foster litter once, puppies about 9 or 10 weeks old. Super cute, and most were fearless, but one was really scared of my dog. My dog was a lot younger at that point in time (maybe 16 months?) and her social skills weren’t as good as they are now. So of course she wanted to play with the scared one. The lady fostering the litter treated it as absolutely no big thing that my 75 lb mush-for-brains teenager is literally bounding toward the frightened puppy, and I’m standing there barking, “LEAVE IT!” at my dog, bringing her skidding to a halt before she reached the puppy. I apologized, called my dog to come with me, and we left them alone, but I did feel this lady was taking a big risk with all the other owners and dogs in the park. The puppies were Rott mixes – do you really want to risk forming fear of other dogs in a Rott puppy? It doesn’t seem worth it to me, but maybe I’m just overly cautious. I think I brought Remy to the dog park (off leash) for the first time once he was around 4 or 5 months old. We went when there were 4 or 5 other dogs there, and he seemed comfortable and so did the other dogs. They weren’t afraid to correct him, and he didn’t seem too fazed. I would not bring a puppy to a dog park before it had all its shots, but I guess it’s up to each owner. I would also worry a larger dog would harm a tiny puppy or that all the excitement might traumatize certain puppies and cause more harm for socialization than good. I guess those are risks we all take when visiting a dog park though. As Julia said, it’s about knowing your own dog/puppy. Puppy class was a great way for Remy to socialize with other puppies, by the way. After the “Training” section each week they got to play off leash under supervision and it was awesome. I think that can work well with a small class, careful supervision and coaching, and a good ratio of instructors to pups. Like 2 instructors and 6-8 puppies. It didn’t work well in the first puppy class we tried; I’ll leave it at, it was NOT awesome. A large dog would not need to be aggressive in order to really frighten a puppy, and if it hits at the wrong time, it could have lasting implications for said puppy. Yes, this is on the puppy’s owner, but I still don’t want my large dog to be the one to cause that issue! Yes, I hear ya on puppies in dog parks. With our puppy class, the class was very managed. It was 8 in the class tops with 2 instructors and we had the puppies play in groups of 3 or 4. They were really good at removing puppies that got too rough/excited or letting puppies take a break if they were overwhelmed. It was set up really well, but I could see how it could be a disaster! Try 25 puppies with a single instructor. Most owners were inexperienced, some puppies were aggressive, some of the owners were less than bright. It was not awesome at all. We gave it two sessions and then opted not to return for the remaining six. I’ll leave this discussion to the people with puppy experience! I don’t mind seeing puppies at the park, and I think it can be valuable socialization for them. Whatever the age, breed and personality of your dog, you need to be real about what’s best for your dog. Going back to Lindsay’s comment about people wanting dogs to play, some dogs don’t play. Putting them in situations that make them uncomfortable isn’t fair and can be dangerous. And what’s best for your dog may change day-to-day depending on their mood. You need to pay attention and adapt. i dont go to dog parks. i worry that all of the dogs are not vaccinated or might carry something. even at at an akc dog show a few years ago, my youngest and several other dogs got a virus. my dog had to be hospitalized. i think it is good socialization but their are other ways. also some people just take their dogs there and forget about them. some dogs dont like to play and may feel intimidated. i know some parks have separate sections for small and large dogs.